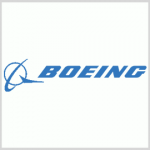 Boeing (NYSE: BA) has received a potential 10-year, $14.31B contract to modernize weapons systems used on the U.S. Air Force’s B-1 Lancer and B-52 Stratofortress bomber platforms. The company will also modify, engineer, test and sustain the aircraft weapons in an effort to increase system lethality, responsiveness, supportability and survivability, the Department of Defense said Friday. The Air Force will obligate $1.2M on the first task order as part of the B-1/B-52 Flexible Acquisition and Sustainment contract. Work will take place at a company facility in Oklahoma City, Okla. The Pentagon expects Boeing to complete services under the indefinite-delivery/indefinite-quantity contract by April 11, 2029.